(Left to right) Kira Torvend, Robyn Booker, and Tasha Morse. 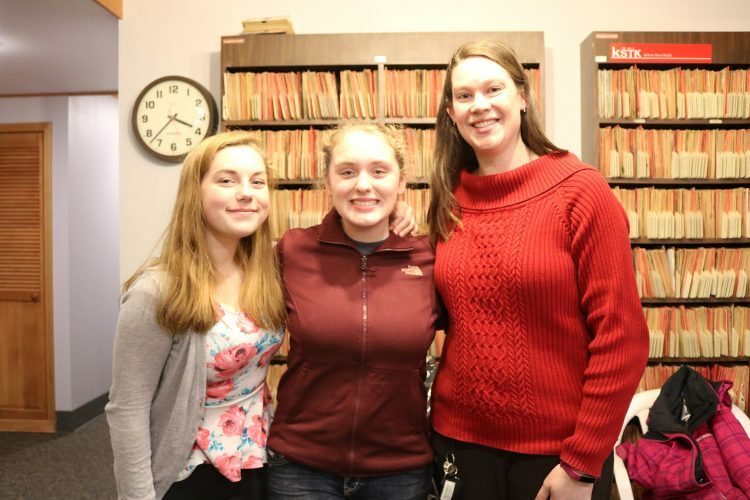 Booker recently sung in the All-State Music Festival, the first time for a Wrangell student in 10 years. One year ago, KSTK interviewed high school student Robyn Booker about her experience singing at the All-State Music Festival. It’s when the best high school singers and musicians get together for a weekend of performances. This marks the second year in a row that she was accepted into the program. Booker was the first Wrangell student in 10 years to attend the festival. And last month, she found out she got accepted for a second time. This year over 400 choir students auditioned and about a third got in. This level of competition seems nerve racking, but Booker wasn’t worried about singing. She remembers her last trip to Anchorage. Booker is more confident with her voice. She says that her audition was better than last year’s. She plans on continuing music and choir for the rest of high school, but what about after she graduates? “I’d love to become some sort of songwriter or performer and if that doesn’t happen, well, I’ll become some sort of scientist and sing to my cells,” she said. hardly anyone from Wrangell auditioned. Booker says this can leave her feeling kinda lonely. Thanks, Robyn…I wish I could be there when you travel to Anchorage next week. PreviousElection day is over. Here’s how Wrangell voted.